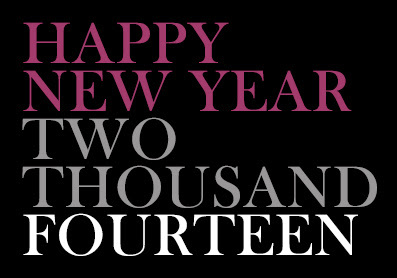 First I'd like to wish you all a very happy new year! 2013 by far was one of my best years! With all the good, and the bad! I'm thankful for my family, friends and for all the sweet and wonderful people whom I met this year. I'm thankful for all the blessings in my life, and for all the opportunities that comes my way. And in 2014 I'm looking forward to graduation! Yes, I'm a SENIOR! and I can't wait to graduate this year! I'm also looking forward to write more posts, share more moments with you guys. meet new people, attend more events, make more friends, experience new things, read more books, watch more movies, and share happiness with those around me. And at last I'm looking forward to make it even better than any year before, that's my new year's resolution, every year. Join me, and share what you're thankful for in 2013, and what you're looking for in 2014! I wish everyone of you a prosperous and a very happy and fulfilling 2014! To new beginnings!